This is the tenth sign of the Zodiac. Its ruling planet is Saturn. The symbol of Capricorn is The Goat. 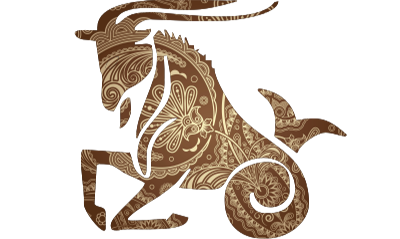 A typical Capricorn is conscientious, hardworking, ambitious, cautious, tolerant, patient, disciplined, calculated and confident. It becomes easy for them to make money in life. They believe in doing things rather than thinking about them again and again. Capricorns are not considered good lovers. They do not express their emotions easily. After marriage, the comforts of home, security, children, and position - they accomplish all these good things of life.